Sinopse: Ansarivan Dragon Riding Academy is for boys and girls who had made contracts with dragons. Ash Blake had a Seikoku on his hand, a proof of being a contractor, but he didn’t have any dragons for his partner. One day, a dragon within him wakes up from a certain incident. However, the dragon that appeared was different from other dragons. It wasn’t in a form of a dragon but had a form of a girl!? “You are not my master; I’m the one who is your master,” she says. Why? 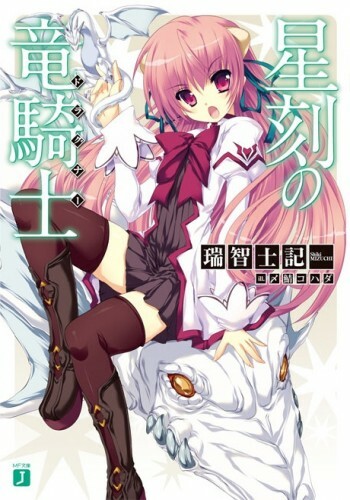 : Who wouldn't like a novel with dragons and cute girls?